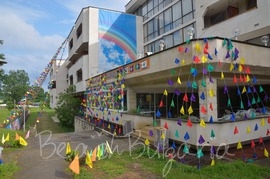 BeachBulgaria.com offers several hotels in Kiten resort on the Black sea coast in Bulgaria. Get information about hotels in Kiten and book online Princess Residence Hotel, Elmar Hotel, Rilena Hotel Complex, Ariana Hotel. The hotels are located near the beach or in the park area of the resort. Thanks to the proximity of Kiten to Primorsko the options for accommodation and recreation increase. There are a lot of family hotels with good facilities and at competitive prices. Contact us for information and online bookings. 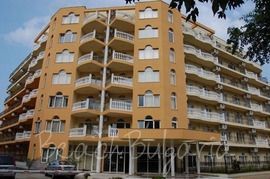 Princess Residence Hotel is located on the picturesque Atliman beach on south Black Sea coast in Kiten resort. The hotel features 131 studio apartments, 15 two-bedroom suites and 8 three-bedroom suites. 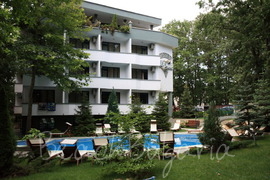 Elmar hotel is located just 100 m from the Atliman beach in Kiten resort. It is located on a quiet street in a beautiful green park. Ariana hotel is situated just 200 m from the beach, in a beech tree forest close to the north beach of Atliman in Kiten resort. 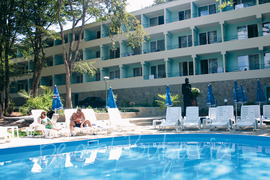 The complex offers 34 double rooms and 4 suites and can accommodate 80 persons.